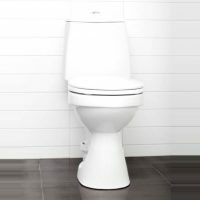 Wostman Eco Flush low flush toilet is a genuine alternative to both a traditional toilet and a composting toilet. 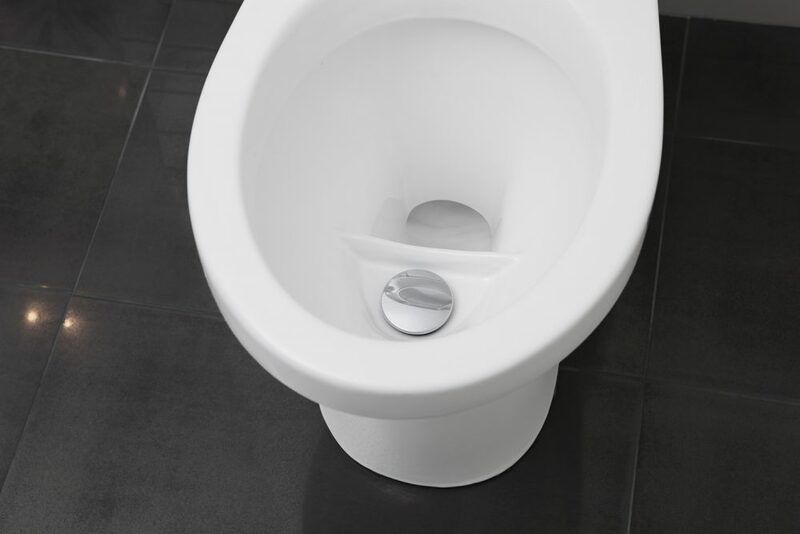 the Eco Flush is a urine diverting toilet that can be used by men in the standing position. The flush settings are adjustable but the factory recommended settings are 300ml for urine and 2.5 litres for solids. The low flush toilet is connected to a normal septic tank that is emptied out periodically by a local contractor. The installation of the Eco Flush is the same as a traditional toilet and the pipework slopes are the same. The urine is diverted so can be routed to a urine tank. Many eco projects use the Eco Flush to collect the urine in this way and to use as fertilizer. But most people use the Eco Flush as the unique water saving toilet it is. 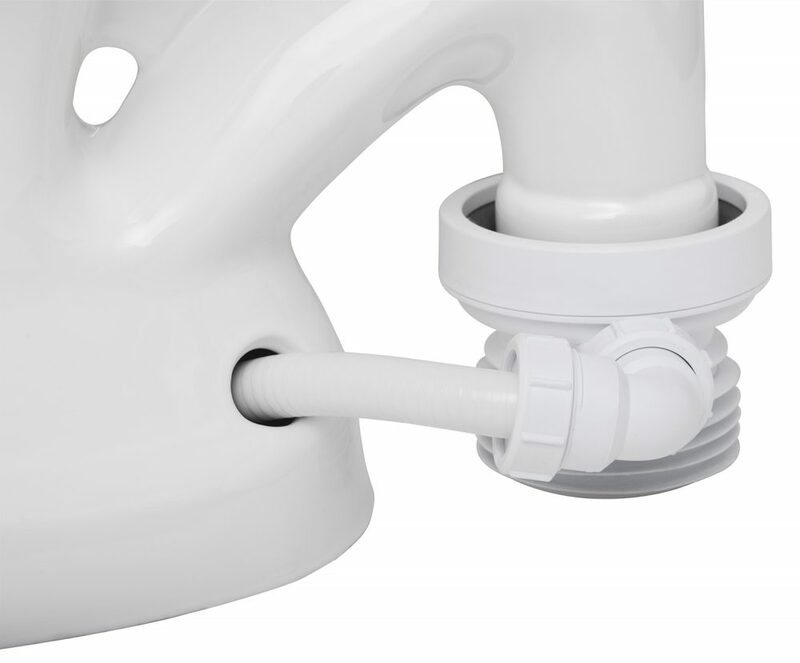 We supply an adapter (as standard – see image below) which connects the urine channel to the main outlet, so you an easily retrofit it the Eco Flush to your 110mm outlet in your bathroom just like any other toilet. Use of the Eco Flush is slightly different to other toilets in so far as the toilet paper for female urination is not added to the toilet. The urine channel can not accept paper so it should be placed in the bin. The toilet paper used for solids can be added to the toilet and flushed as normal. Comparing Eco Flush to a traditional 6 litre flush toilet based on 6 toilet visits per day / person, the Eco Flush uses 4 litres (one solids flush and 5 urine flushes) per day whereas the traditional toilet uses 36 litres. The average person goes to the toilet about 6 times a day; 5 of these are for urination. 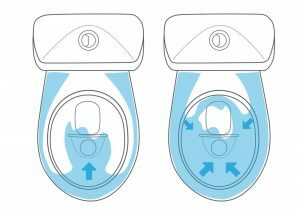 Wostman Eco Flush low flush toilet only cleans the part of the bowl that needs cleaning which reduces the amount of water used. The small flush comes from the front of the bowl, rinses the urine bowl and water trap. Some of the water smoothly flows over the edge to the big bowl. For maintain maximum hygiene it is key that some water pours over the edge of the big bowl to keep everything clean. EcoFlush does that. The big flush uses about 2.5 litres and rinses the entire bowl including the urine part and water trap. 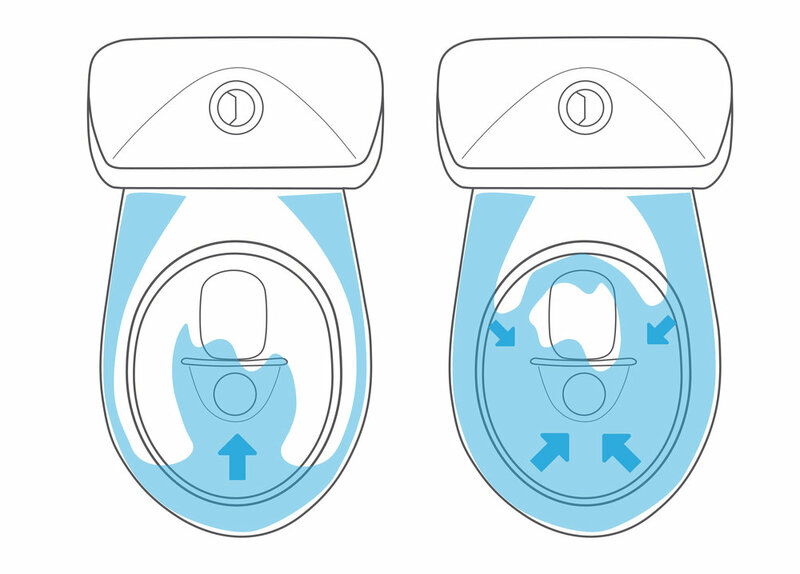 The big flush is used similarly to a classic WC – but uses less water even on the main flush thanks to uniquely designed flush canals inside the ceramic.